If you are still making New Year's resolutions, don't forget to add Gambling on a Dream: The Classic Las Vegas Strip 1930-1955 to your reading list! This entertaining e-book covers the formative years of the Las Vegas Strip with detailed histories of the first ten hotels built on the famed boulevard. 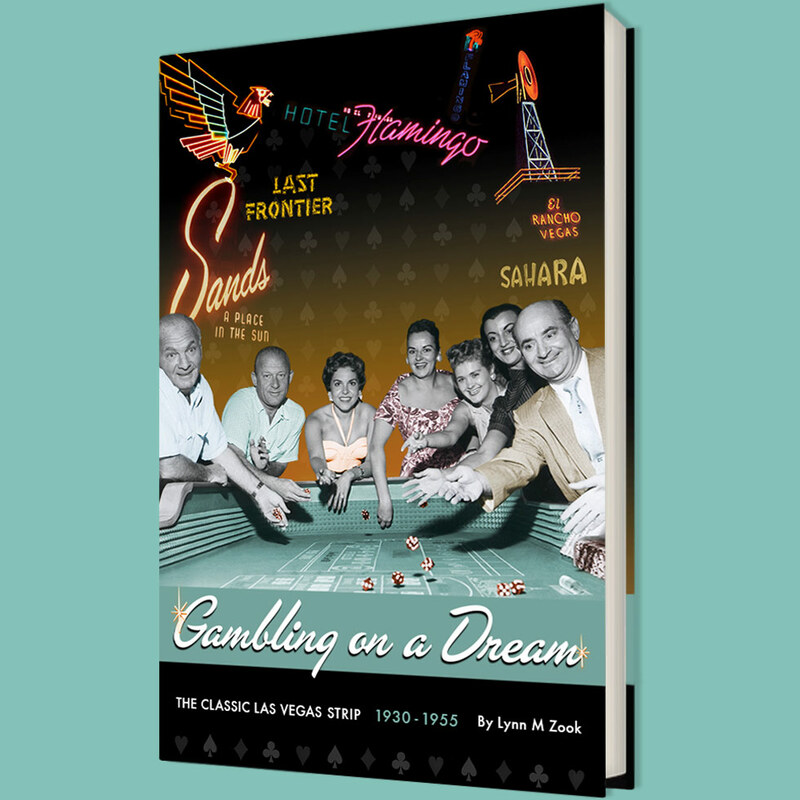 From conception to destruction (with the exception of the Flamingo hotel which is still going strong), the book highlights the architecture, the entertainers, the people who worked in the hotels and the men who dreams made it all possible. Without them, the Las Vegas Strip of today would be a very different place. With rarely seen photographs and video interviews with the men and women who were there, the book is just $9.99. Available on iTunes, Amazon and Nook. So please enjoy and please leave a review on either the iTunes page or Amazon page when you have finished the book! And yes, I am hard at work on part 2 which will cover the hotels built between 1956-1973. So more to come!